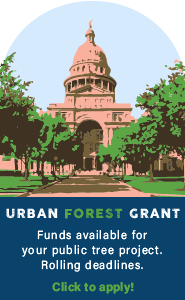 Austin’s urban forest provides millions of dollars annually in social, economic, and environmental benefits to the community and enhances the quality of life for Austin residents. Our community's tree resource is an integral part of what makes Austin one of the most attractive cities in the country. As the city continues to grow and develop the urban forest remains an integral part of the Austin landscape, quietly performing as one of our most invaluable infrastructure components. As our community continues to work toward our 2034 Vision for Austin’s urban forest, we celebrate our successes and learn from our challenges. The data in the Community Tree Report offers insights into what our community is doing to reach our 2034 Vision; what areas we’ve impacted most; and suggests where resources and energy are needed in the future.